When Carrie was home for Christmas, she made one of her favorite cookies – Ginger Crinkle Cookies! The spices in ginger cookies are, of course, wonderful for holiday desserts, but these cookies are welcome any time of the year. They’re perfect in a packed lunch or with a cup of tea! These Ginger Crinkle Cookies are so easy to make, and they’re very attractive because they spread into lovely round cookies. Carrie said that when she made them for co-workers they found it hard to believe that she hadn’t bought them at a bakery because they looked too perfect! I’m not sure of the origin of the recipe. About 10 years ago, Carrie compiled a collection of dessert recipes for a school project and this recipe for Ginger Crinkle Cookies is one of them. So if you know the source, please let me know and I will give full credit. 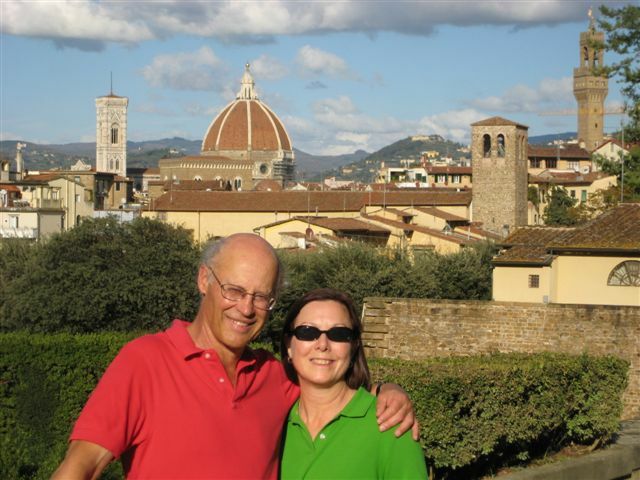 Update October 15, 2013: I found the source of this terrific recipe! Going through some recipes I had saved, I found a photocopy of this recipe. The recipe is from Seattle chef and cookbook writer, Sharon Kramis. The recipe had been printed in one of our local papers. If your spices are old they will not be very flavorful. If they don’t have much of a scent, it may be time to replace them. Find a store that sells spices in bulk so you can buy a small amount and you’ll also save a ton of money. 1. In a medium bowl, stir together the flour, baking soda, ginger, cinnamon, cloves, and salt. 2. In a large bowl, beat together the brown sugar, oil, melted butter, molasses, and the egg. 3. Gradually add the flour mixture to the brown sugar mixture, and beat until well-blended. 4. Divide the dough into 2 balls and refrigerate for 1 hour. 5. Preheat oven to 375˚. 6. Shape the chilled dough into 1½-inch balls. 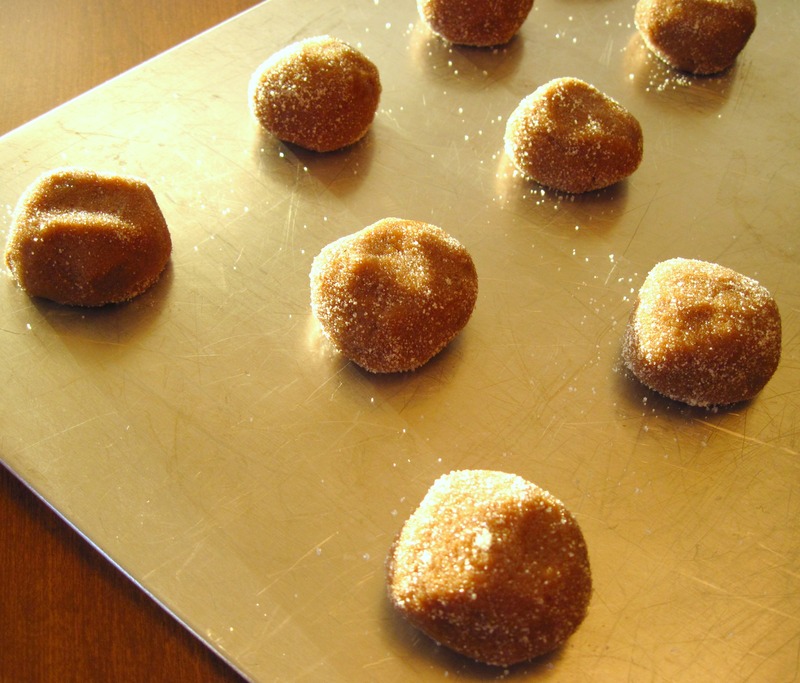 Roll the balls in the granulated sugar and place 2 inches apart on an ungreased baking sheet. Thank you, Laura! They are good!! I like the fact they are all round and “perfect, because sometimes my cookies don’t turn our so round. anyway, I’ll be making these when my cookie making desire returns:) It was overworked during the holidays. I’m making engagement cupcakes now, for my son and his fiancee. I know what you mean about “cookie making desire” being overworked, Becky! 😉 Posting this, though, does make me long for one of these with a cup of tea. Congratulations to your family on your son’s engagement! I’m sure your cupcakes made it a special celebration! I’ll take ’em both in my lunchbox and for tea! Thanks for you comment, Liz! I love these cookies! They looks so cute and beautiful! I’m sure they tasted lovely too! Yum! I love a spicy cookie. For some reason I forgot to make these over the holidays, and now I’m all cookied out. I’ll have to find an excuse to make a batch sometime. I, too, am cookied out, Evan. But I probably won’t wait until next Christmas to make these again! Fresh spices make all the difference, don’t they, Greg? those are perfect bites of heaven!! I can just imagine how wonderful the house smelled while they were baking!! Mmmmm….yes, Dennis, they do smell great while they’re baking! These are gorgeous. Are they spicy at all? I’m always wondering what to add to make my ginger cookies nice and spicy! Some say ginger others say cloves or allspice. I could eat these anytime and you are right they bake perfect! Dionne, they are “just right” spicy for me, but if you really want them really spicy you could try adding more ginger. I think too much cloves or allspice can be over-powering. 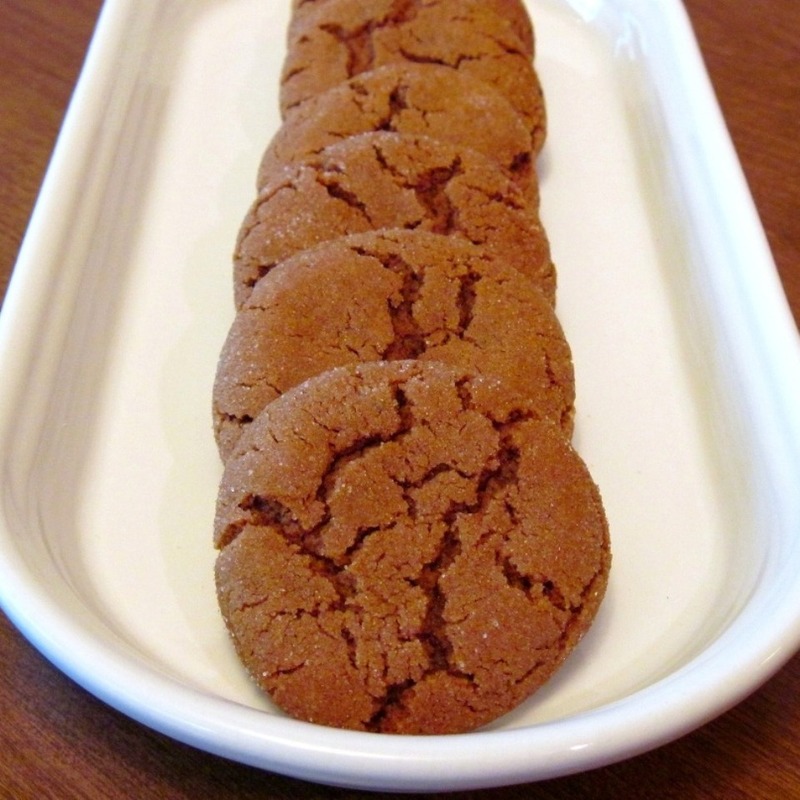 My mom loves ginger cookies…they are her favorite winter snack! She is coming to visit next week, and I may just have to make her a batch of these cookies. All the spices in the batter sound so tempting! Thank you for sharing this with me. I hope your weekend bursts forth in joy and hope! Oh! I love these cookies! 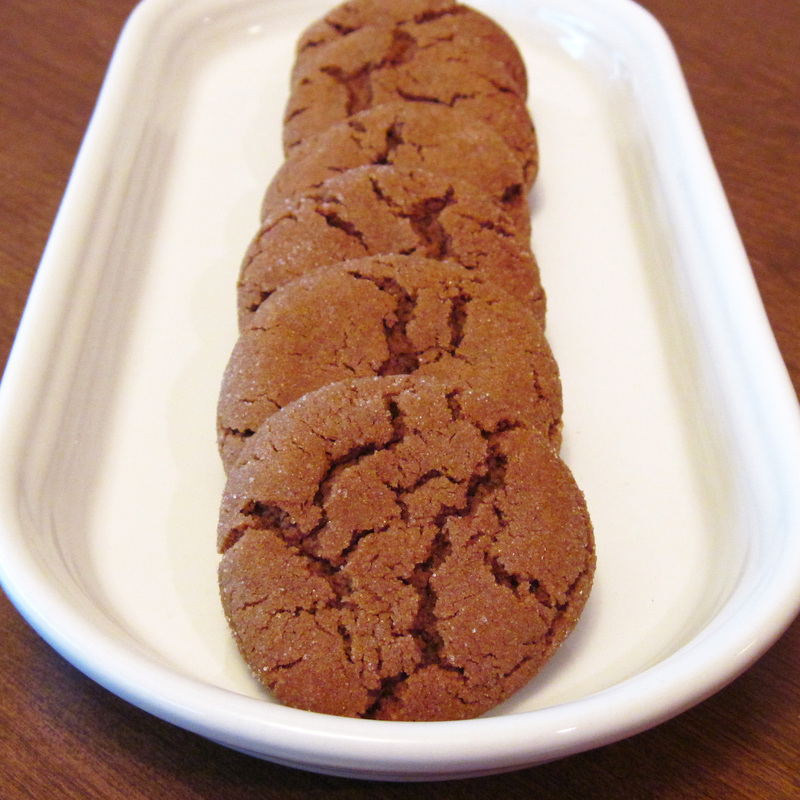 I have a recipe called Soft Molasses Cookies that is almost the same … love how easy these are to mold and I love the way the sugar crackles the tops! Your daughter’s co-workers are right! They look (and taste) perfect! 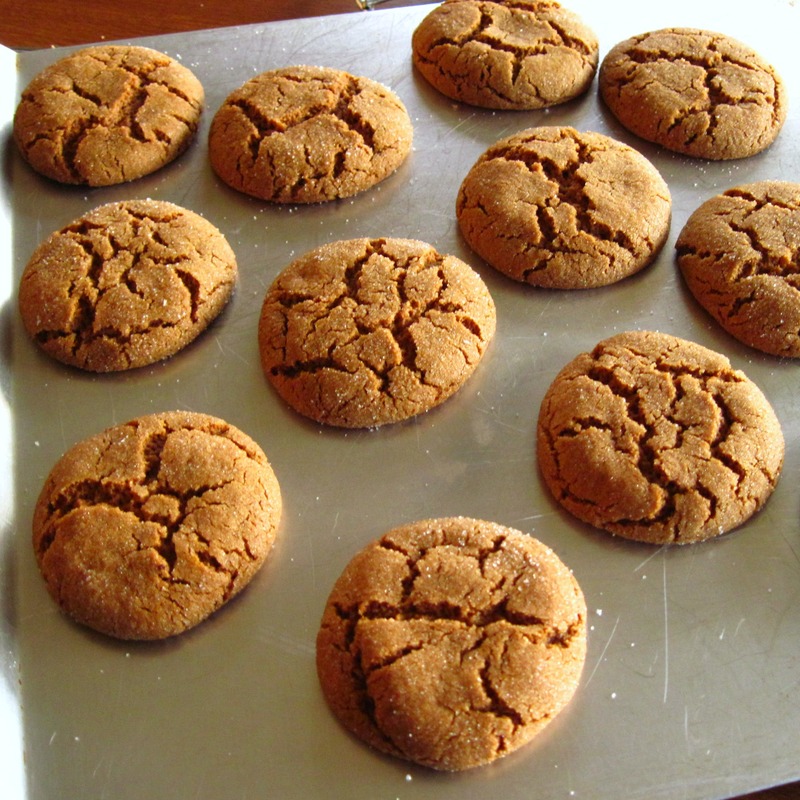 I love spiced cookies in winter time, especially around the Holiday. Yours look perfect. I bet the addition of all those spices would make your house smell wonderful. Perfect ginger biscuits! They are beautiful, the cracks! !